Book hotel rooms online with us at Tivoli Lagos Hotel at the lowest rate, guaranteed. Get a holiday discount room rate at the 4 Star Tivoli Lagos Hotel located in the popular historic town of Lagos in the western Algarve. 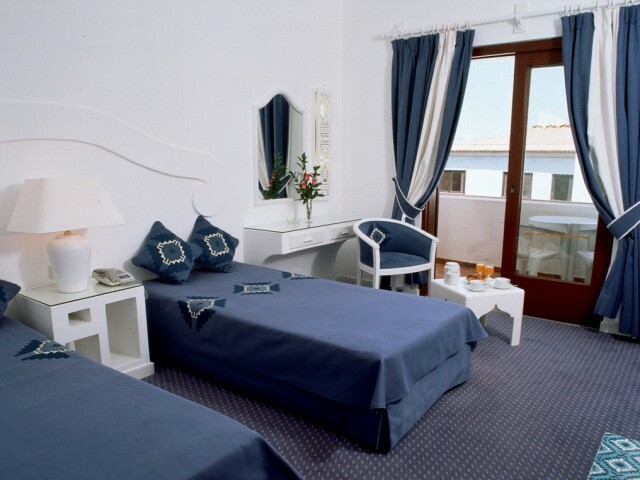 The hotel has 324 bedrooms providing holiday accommodation for two to three adults. The Tivoli Lagos Hotel is set just off the Lagos town centre but still within easy walking distance. The modern comfortable bedrooms are air-conditioned and have balconies, satellite TV, radio, direct dial phones, a mini-bar, a safe and internet access (paid). Tivoli Lagos Hotel facilities include a restaurant, bar, an indoor pool, a Health Centre with massages and treatments , a Fitness Centre, a sauna and steam baths, a restaurants, snack-bar, bar, live entertainment in season and a games room. On the nearby beach there is the Duna Club belonging to the hotel and has a swimming pool, changing rooms, snack-bar, Kids Club and a selection of water sports. A courtesy bus takes guests to the Duna Club and back to the hotel. There are three is 18-hole golf courses within about 10 to 15 minutes drive.